Dating from 1909, this renovated National Historical Landmark is in the middle of downtown, 1 block from Pearl Street pedestrian mall, and 3 blocks from Boulder Creek Path hiking and biking. 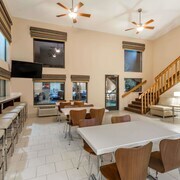 Conveniently located 53 feet (16 meters) from the University of Colorado-Boulder, and with the Rocky Mountains as a backdrop, Best Western Plus Boulder Inn is perfectly placed for lovers of the great outdoors. Guests can walk 1.6 miles (2.8 km) to Chautauqua Park for views of the Flatirons, or hike the Boulder Creek Path, which runs for 10 miles (16 km) alongside the city. 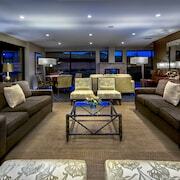 Located in Central Boulder, this hotel is within 1 mi (2 km) of Twenty Ninth Street and University of Colorado-Boulder. Pearl Street Mall and Folsom Field are also within 2 mi (3 km). 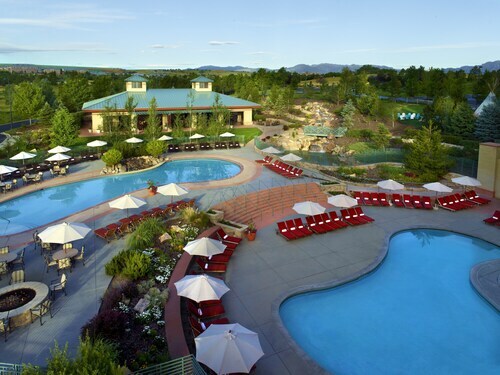 Set next to the Flatiron Crossing Shopping Complex, this golf and spa hotel is midway between Denver—approximately 15 miles away—and Boulder, approximately 10 miles away. 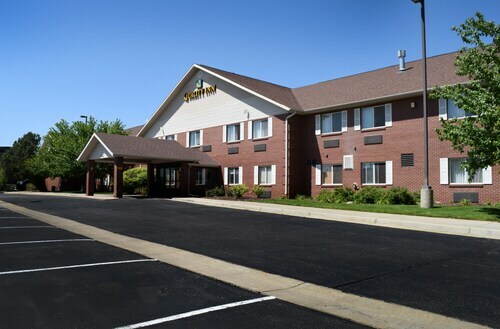 Situated in Longmont, this motel is 2.3 mi (3.7 km) from Ute Creek Golf Course and within 12 mi (20 km) of Longmont Museum and Meadow Park. Lyons Town Hall and Sandstone Park are also within 12 mi (20 km). 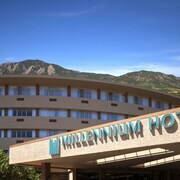 Situated in Boulder, this hotel is 1.5 mi (2.3 km) from University of Colorado-Boulder and 3 mi (4.8 km) from Folsom Field. NIST Headquarters and NOAA's Earth System Research Laboratory are also within 3 mi (5 km). 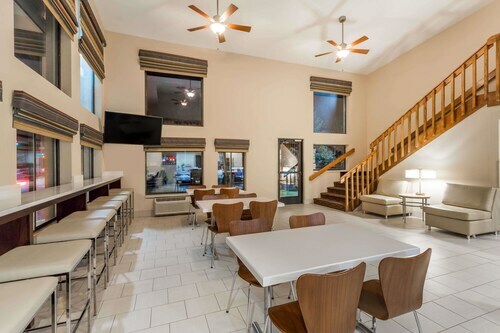 Set on 16 landscaped acres alongside Boulder Creek, this resort-style hotel is 100 yards from the University of Colorado campus and 1 block from Twenty Ninth Street shops and 2 restaurants. 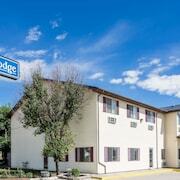 Situated in the historical district, this motel is 15.7 mi (25.3 km) from Loveland Museum and within 32 mi (52 km) of Pearl Street Mall and Estes Park Museum. 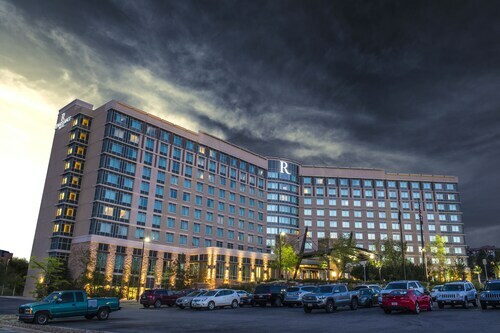 Located in Central Boulder, this luxury hotel is within a 15-minute walk of Pearl Street Mall and University of Colorado-Boulder. Chautauqua Park and Folsom Field are also within 2 mi (3 km). Renaissance Boulder FlatIron Hotel places guests opposite FlatIron Crossing Shopping Center, a 20-minute drive from downtown Boulder and 30 minutes from Denver Airport. Hikers and drinkers can hit Open Space & Mountain Parks and Coors Brewery respectively, both within 30 minutes of the hotel. How Much is a Hotel Room in Boulder? 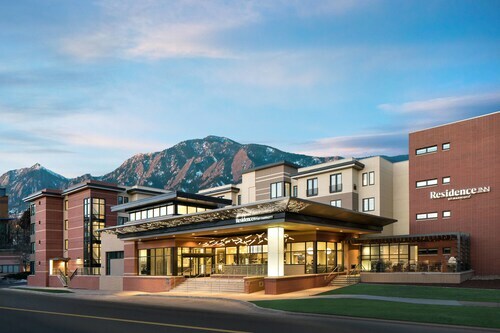 Hotels in Boulder start at $55 per night. Prices and availability subject to change. Additional terms may apply. Somewhere between reality and the Rocky Mountains rests Boulder, a town that's always pushing forward while living locally. Known for its outdoor activities, thriving arts scene, great culinary selections, and gorgeous mountains, Boulder wows. Whether you're watching exciting street performers downtown or biking along Boulder Creek Path, you'll feel the energy in this great city. 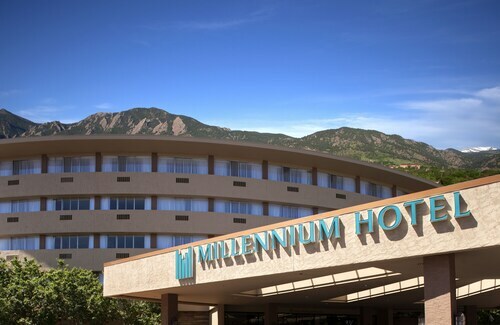 The action never stops here, so get going as soon as drop your luggage off at one of the hotels in Boulder. To start, greet the great outdoors by rock climbing in Eldorado Canyon State Park, golfing at Flatirons Golf Course, or hiking at Chautauqua Park. 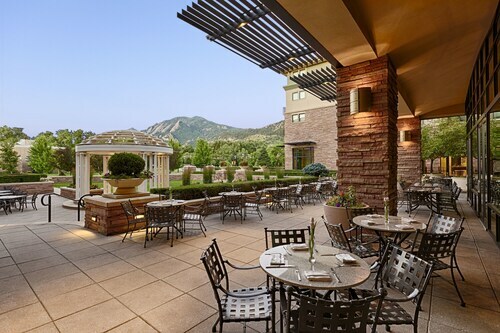 For convenience, many outdoor enthusiasts choose to book Boulder hotels near such outdoor spots. Once you've had a good workout, relax in Boulder by strolling around downtown, taking in a concert at Macky Auditorium, or sampling teas at a nearby tea factory. Cultural offerings abound as well. Enjoy the modern works at the Boulder Museum of Contemporary Art or the interactive exhibits at the Boulder History Museum. Also, the University of Colorado Boulder has a profound impact on the town, and it's worth exploring campus for an afternoon. While many come to Boulder for a rugged adventure, the city does pamper - there's no shortage of hotels with a spa in Boulder. In terms of cuisine, you can find anything such as authentic Thai, Mexican, and French inspired dishes. 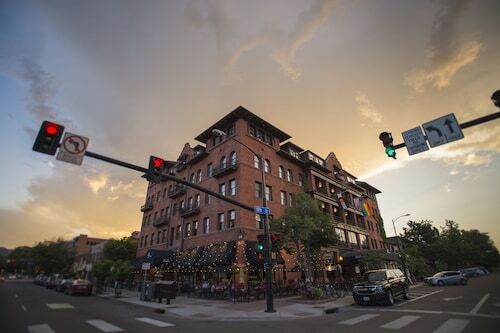 When the sun goes down, the party can be found at any of downtown Boulder bars. If you're looking for a more refined night, take an evening tour of any one of the craft breweries in this Colorado town. 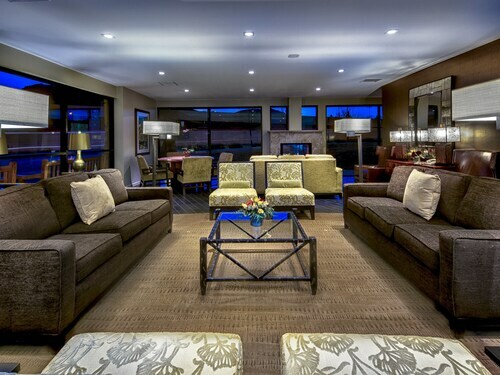 The fun never stops in Boulder, so you want to plan early by looking for some of the best Boulder hotel deals on Travelocity. From hotels near Carter Lake County Park to cheap lodgings near the university, Travelocity has what you need. We enjoy staying I the King Suites with Jacuzzis. The rooms are a little dated but our stay and locations were Great. Each staff person we encountered greeted us with a smile, a hello and were very accommodating. Average. Cleanliness, pool, rooms, breakfast... all average. Very nice and comfy! Nicer than expected! No bag liners in the trash bins tho. 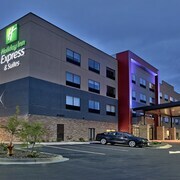 The Hyatt Place Boulder Pearl Street is a convenient location. The hotel is new, clean, and includes a nice parking garage. You could walk to a Barnes & Noble, Target, and a restaurant or two, however it isn't walking distance to the historic Pearl Street area of Boulder. Great location, all the basics. Resteraunt on site with discount. Great location for a family and being outside. Will stay again.